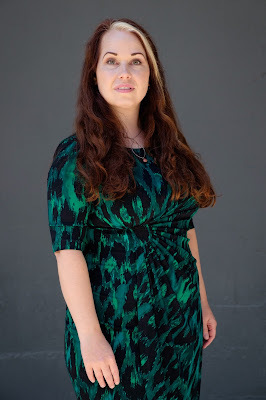 When mezzo-soprano Sarah Mattox takes the stage in Madame Butterfly this August it will be in the role of Kate Pinkerton—wife of the good-for-nothing B.F. Pinkerton who sees his own American culture as superior to Puccini’s Japanese heroine. “My first thought is, ‘Oh no, I end up with Pinkerton? What a horrible person!’ I’ve always really, really liked the singers who play Pinkerton but, wow the character,” Mattox says. It’s this very injustice that’s motivated Mattox. Ironically, her character is married to an oppressor of Japanese people in Butterfly. But in her work outside of Seattle Opera, the opera singer (also a composer and librettist) has used her artistic medium to elevate one Japanese American woman’s story. 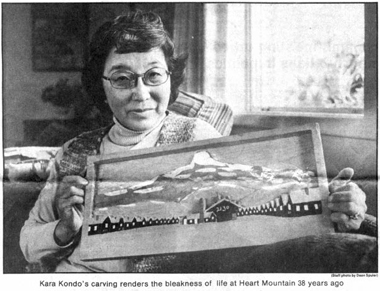 Kara Kondo (1916 - 2005). Photo: Gordon King from Yakima Herald Republic file. On June 6, 1942, Kara Matsushita Kondo was removed from her long-time home along with 1,300 other Japanese Americans who lived in Yakima Valley. Kondo kept a journal during her time living behind barbed wire, and it was her words that would inspire Mattox’s opera. In 2012, the chamber music ensemble that Mattox performs with, TangleTown Trio, was hired by Yakima Valley Museum for a special performance. Prior to the event, the trio worked with event coordinators to decide on programming. The coordinators hired the group based on Mattox's song cycle, “Rumpelstiltskin and the Falcon King” but it was only half an hour, when they wanted a 45-minute concert. Show poster for "Heart Mountain" from the Vespertine Opera Theater. The people at the museum loved the idea. To help her get started, they sent the opera artist information from museum displays, including material from the “Land of Joy and Sorrow: Japanese Pioneers in the Yakima Valley.” This exhibit chronicled the forced relocation of Japanese families to Heart Mountain, Wyoming in 1942, and their re-emergence as a community in the Yakima Valley after World War II. Out of everything that the museum had sent, Mattox realized that the words that were inspiring her all came from the same source. Mattox had a clear mission: obtain a copy of that journal. Kondo passed away in 2005 at the age of 89. But the museum was able to help Mattox contact her daughter, Elaine Kondo-McEwan. McEwan had just finished typing up her mom’s journal as a Christmas gift for her family and was able to provide Mattox with a PDF version. “It was two in the afternoon when I opened it up and I started reading and it got dark without me even noticing. It was just absorbing,” Mattox says. The journal included various scenes from Kondo’s life she had written down, as well as some poetry, which Mattox incorporated into the libretto. While she had originally only needed to compose 15 minutes of music, it soon became clear that Kondo's journal represented a much longer, more involved project. Mattox premiered two arias at the museum to an audience that included those who had known and loved the late Kondo. Several scenes were premiered at the 2014 John Duffy Composers Institute, where Mattox was selected as a Composition Fellow. The final, two-hour opera focuses on Kondo, her sisters, and the profound effect that living behind barbed wire had on their lives. 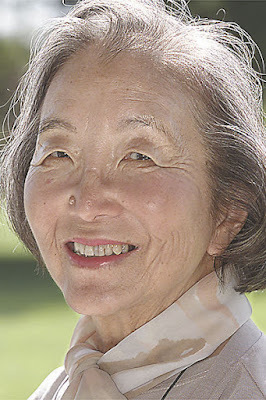 During her creative process, Mattox also reached out to the Seattle chapter of the Japanese American Citizen League and other local Japanese American organizations because, she says, “it’s their story.” Additionally, two soloists featured in Mattox's production were granddaughters of Heart Mountain incarcerees. Operas are known for being long. But if one could see an opera written down, he or she might think they’re short. (It can take many seconds to sustain a single note with the drama, flair and skill of a professional opera singer!). “The most important part of writing an effective libretto is in cutting it down to its barest essentials. So it can work in an uncluttered way onstage,” Mattox says. Heart Mountain went through multiple rounds of edits. Mattox continued to refine the piece following two staged performances directed by Dan Wallace Miller and conducted by Stephen Stubbs for Vespertine Opera Theater in partnership with the Yakima Valley Museum. Seeing audience members moved by Kondo’s story made Mattox happy. It can be difficult to wrap one's brain around the injustice of 120,000 people being wrongfully imprisoned by the United States Government. But Kondo (whom Mattox credits as the co-librettist of the opera) has a way of making this painful topic accessible to everyone. Heart Mountain Relocation Center Memorial Park plaque in Park County, Wyoming. Mattox is still working on re-writes of Heart Mountain and hopes to mount a larger performance after a few tweaks. But before her work takes the stage again, the mezzo-soprano is looking forward to performing at McCaw Hall. While she will sing the role of Kate Pinkerton this time, Mattox has more frequently performed as Suzuki, Butterfly’s faithful servant (and in fact, she's covering the role for this upcoming production). Suzuki is a character who truly gets what’s going on, even while Cio-Cio-San fails to realize that Pinkerton doesn’t intend on staying committed to her. Getting to play Suzuki has made Mattox more empathetic and aware of marginalized people—because through Pinkerton, one sees how ugly and hurtful American cultural dominance can be. Butterfly offers a lot to think about in that way, she says. 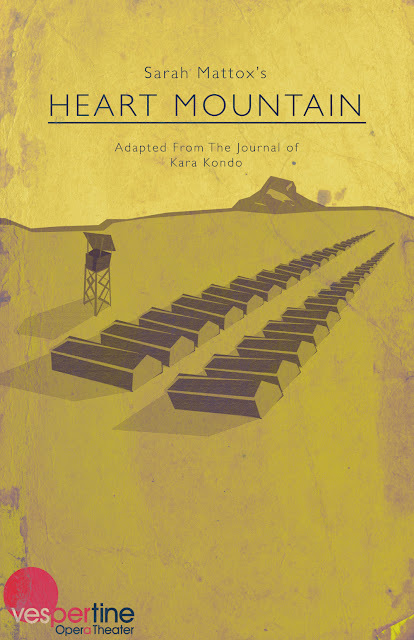 Heart Mountain, the 124-acre Japanese Internment Camp that was used in 1942.